In early 1980s, clinically trained Lakota social worker Dr. Maria Yellow Horse Brave Heart conceptualized the cumulation of suffering caused by historically traumatic events experienced by a group as Historical Trauma (HT). Contrary to other psychological illnesses and mental distress which are usually a result of individual experience of trauma, HT calls attention to the collective experience and intergenerational transmission of trauma. Inspired by clinical evidence of psychological trauma experienced by first and second generation Holocaust survivors, HT is defined as the “collective, cumulative, and intergenerational transmission of risk for adverse mental health outcomes that stem from the historical unresolved grief or “soul wound” inflicted by experiences of colonization” (4). Historical Trauma is associated with six phases of colonization in North America, and more specifically in the USA beginning with first contacts and early colonization and subsequent population decline due to disease and warfare; followed by loss of land and subsidence resources resulting from territorial invasion and encroachment; forced dependency and confinement in reservations compounded by institutionalized language and culture loss from residential (boarding) school system, which finally culminated, in the USA, in forced relocation and the Indian Termination Policy, and in Canada, continues under the Indian Act and the Federal Policy on Aboriginal Self-Government. Taken together, these historical injustices are seen as the root of contemporary Indigenous risk for poor mental health status. Empirical evidence suggests that HT experiences are prevalent and correlate with adverse mental health outcomes as individuals develop pathological reactions of bereavement and complex posttraumatic stress disorder (PTSD). More importantly, the concept of Historical Trauma culturally contextualizes psychological experiences, which has led to the development of culture-based practices and treatment. 1. Adelson, N. (2000). “Being Alive Well”: Health and the Politics of Cree Well-Being. Toronto: University of Toronto Press. 2. Alfred, T. G. (2005). Wasáse: Indigenous Pathways of Action and Freedom. Toronto: University of Toronto Press. 3. Brave Heart, M. Y. H. (1998). The return to the sacred path: Healing the historical trauma and historical unresolved grief response among the Lakota through a psychoeducational group intervention. Smith College Studies in Social Work, 68(3), 287-305. 4. Brave Heart, M. Y. H. (2000). Wakiksuyapi: Carrying the Historical Trauma of the Lakota (pp. 22): Tulane Studies in Social Work. 5. Brave Heart, M. Y. H., Chase, J., Elkins, J., & Altschul, D. B. (2011). Historical Trauma Among Indigenous Peoples of the Americas: Concepts, Research, and Clinical Considerations. Journal of Psychoactive Drugs, 43(4), 282-290. 6. de Leeuw, S., Greenwood, M., & Cameron, E. (2010). Deviant constructions: How governments preserve colonial narratives of addictions and poor mental health to intervene into the lives of Indigenous children and families in Canada. International Journal of Mental Health and Addictions, 8(2), 282-295. 8. Gone, J. P. (2008) The Pisimweyapiy Counselling Centre: Paving the Red Road to Wellness in Northern Manitoba. In, Aboriginal Healing in Canada: Studies in Therapeutic Meaning and Practice (pp. 131-203). Ottawa: National Network for Aboriginal Mental Health Research, Aboriginal Healing Foundation. 9. Gone, J. P. (2014). Advancing cultural-clinical psychology: Reflections on the special issue. Journal of Social and Clinical Psychology, 33(10), 945-965. 10. Irlbacher-Fox, S. (2013). Justifying the Dispossession of Indigenous Peoples: Discursive Uses of Temporal Characterizations of Injustice. In S. Tomsons & L. Mayer (Eds. ), Philosophy and Aboriginal Rights. Toronto: Oxford University Press. 11. Kirmayer, L. J., Gone, J. P., & Moses, J. (2014). Rethinking historical trauma. Transcultural Psychiatry, 51(3), 299-319. 12. Martin-Hill, D. (2003). Traditional Medicine in Contemporary Contexts: Protecting and Respecting Indigenous Knowledge and Medicine. Ottawa: National Aboriginal Health Organization. 13. McGibbon, E. (2012). Oppression: A Social Determinant of Health. Winnipeg: Fernwood Publishing. 14. Native Women’s Association of Canada (NWAC). (2007). Social determinants of health and Canada’s Aboriginal women. 17. Reading, C. L., & Wien, F. (2009). Health Inequalities and Social Determinants of Health of Aboriginal Peoples’ Health. National Collaborating Centre for Aboriginal. 18. Salée, D., Newhouse, D., & Lévesque, C. (2006). 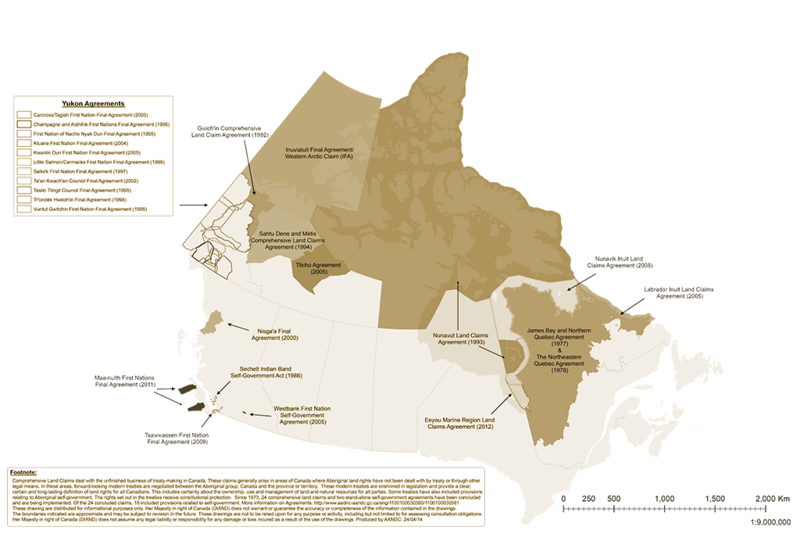 Quality of Life of Aboriginal People in Canada: An Analysis of Current Research. IRPP Choices (Vol. 12). 20. Main picture provided by Chisasibi Heritage and Cultural Center. Healing in Chisasibi - Copyright Ioana Radu 2012 - 2017.